One of the most famous physical (materialization) mediums in recent history was a lady named Helen Duncan (1897-1956). Helen Duncan was born and lived in Scotland and was alleged to have possessed paranormal abilities beginning in her early childhood. Helen married at the age of 20 and had six children. Employed as a factory worker, Helen had to work hard to support her family, because her husband, Henry Duncan, had been injured during his involvement in World War 1 and was rendered unable to work. Despite caring for 6 children and working to support her family, in her spare time Helen continued to develop herself as a clairvoyant and around the year 1926, Helen developed abilities as a physical medium, able to summon spirits whilst in a trance state and emit ectoplasm, a substance which allows spirits to materialize themselves in a physical form. As would be expected, Helen found her claimed abilities as a medium in greatest demand during the time of World War 2 when many people were loving loved ones as a result of the war and there was a great deal of uncertainty and despair. During this period, Helen Duncan moved to live in Portsmouth which was essentially the home of the Royal Navy and not the best place to be at this time due to it being a major target for enemy attacks. It was during this time, in 1941 when during a seance, Helen Duncan was able to fully materialize the spirit of a sailor who wore his naval cap which on it was written the name of his ship- HMS Barham. He announced that he had recently been killed as a result of his ship, HMS Barham being taken down by the enemy in the Mediterranean. This information had not at the time been made public by the government who had completely denied it and kept it a secret that HMS Barham was taken down when a German U-Boat U331 had torpedoed the ship. Apparently the government had only informed some individuals on a confidential basis that they had lost loved ones but kept secret from the public at large that 861 British seamen had been lost, in order to protect public moral and mislead the enemy. Once news had spread, this incident lead to the authorities taking greater notice of Helen Duncan's activities. In January 1944, police raided one of Helen Duncan's seances in her then hometown of Portsmouth just as a spirit manifestation was taking place. It was rumoured that the reason for this raid was due to a paranoia on behalf of authorities that Duncan might reveal further details of classified information such as that of the imminent D-Day landings. In other words, she was viewed as a potential threat to national security. Duncan, along with three members of her audience were arrested and taken to court. This court case was extensively covered by the media. The Times newspaper at the time reported that during this raid, Helen Duncan was caught red handed in the act of faking the spirit phenomena. It was alleged that the "spirit" which was apparently manifesting at the time was actually Helen Duncan herself, concealed in white cloth and that she was also found in possession of a HMS Barham hat-band which would have been used to fabricate the phenomena. Left: Helen Duncan allegedly materializing the spirit form of her spirit guide "Peggy". Skeptics such as Harry Price believed that this "spirit" was simply being made from a combination of white cloth materials and a rubber dolls face attached to it both propped up by a clothes hanger. However, supporters claim that spirit materialization is a complex process and that spirits are not always able to mould the ectoplasm into a realistic and lifelike form. Helen was brought on trial at the Old Bailey in London and would become the last person to be prosecuted under the Witchcraft Act 1735 for profiting from "fraudulent spiritual activity". This act had not been used to prosecute anybody for more than a century. Supporters of Helen Duncan allege that she was effectively harassed by the police, made the subject of a number of false allegations and that there were powerful people out to get her in what amounted to a conspiracy emerging partly from wartime paranoia. During the trial, Helen Duncan's defense suggested that she give a demonstration of her abilities in the witness box. In other words, Helen would conduct a seance in the courtroom. This proposal was rejected and Duncan was found "guilty" under the Witchcraft Act and sentenced to 9 months in prison. Duncan was released from prison on 22 September 1944. In November of 1956, police once again raided one of Helen Duncan's seances in Nottingham. Police allegedly grabbed hold of Helen Duncan, searched her and searched the seance room for "props" such as fake beards, masks and costumes that might be used as part of a hoax. They could find none on this occasion. Shortly after this raid, Helen became very ill. Some say this was down to shock but spiritualists argue that Helen became ill as a result of being interrupted whilst in a state of trance- a time which a medium is said to be in a highly-sensitive and vulnerable condition. Apparently a Doctor confirmed that Helen did have two second degree burns on her stomach area, which spiritualists claim may of been the result of the ectoplasm re-entering her body too quickly. As Helen became more ill, she returned to her home in Scotland and some five weeks after the police raid incident, Helen Duncan was dead. Doctors listed the cause of death as related to her diabetes and heart failure. Helen Duncan's mediumship verdict: real or fake? Harry Price investigation. Helen Duncan's mediumship was put to the test by psychic investigator Harry Price. He claimed that the "ectoplasm" Mrs. Duncan was producing was nothing more than cheesecloth which she was somehow regurgitating from her stomach, a theory he developed having had the medium physically examined in every area other than her stomach. Price then purchased yards of cheesecloth and asked an assistant to pose with the cheesecloth in a similar fashion to which Helen Duncan would produce ectoplasm, and found that the ectoplasm and cheesecloth looked very similar. In one photograph Harry Price took of Mrs. Duncan, there appears to be a hand materializing from the ectoplasm and moving, which Price says is nothing more than cheesecloth, with a rubber glove attached via a safety pin. On this picture, Price notes "the puffed cheeks" of the medium- implying that Helen Duncan is making a rubber glove move by blowing into it. This does not seem to make sense, because surely if you attach a rubber glove to the end of some cheesecloth and blow into the top of the cheesecloth, the material would be such that it would have no effect on the glove. 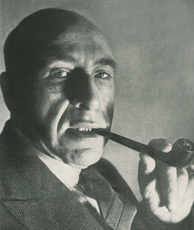 Although the regurgitation theory is indeed possible, I was unable to find any evidence that Harry Price was able to duplicate the effects Mrs. Duncan produced via regurgitating- either himself or with an assistant. The closest he got was to take six feet long strip of cheesecloth, roll it up and show that it would fit into the mouth of an assistant. However, this cheesecloth was never swallowed and regurgitated- and it is a wonder how anyone could carry out that process without choking, gagging and feeling extremely sick, yet no mention of choking noises or sickness was made and if yards of cheesecloth were coming up through Helen Duncans throat, how could she at the same time "fake" the voice of her spirit guide who was talking during this process? How might cloth even look having been in someones stomach? Surely its colour, appearance and feel would be completely different? So whilst the regurgitated cheesecloth theory is possible, it is also unfounded and does not seem a practical or demonstratable explanation. This theory also ignores the fact that the ectoplasm can be seen to be being produced not only from the mouth but from other parts of her body such as ears. It is of course not physically possible to store yards of cheesecloth inside your ears!! The only other explanation could be that in addition to regurgitating the materials from her stomach, Helen then quickly took the cheesecloth and "poked it into her ears"- an explanation that seems unlikely since Helen Duncan was securely bound to the chair during the time which she produced the ectoplasm. The photographs to which I refer from this investigation can be found on the Harry Price website: Harry Price and Helen Duncan. examination. Price’s “explanation” was that she had a secondary stomach, like a cow. evidence, but these too were legally inadmissible. curious stiff “feel”, proving that it could not have been regurgitated. the materialisations appeared, they were their usual white colour." 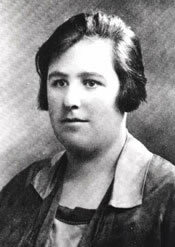 Helen Duncan was also investigated by the London Spiritual Alliance in 1931 who would also denounce her as a fraud. Apparently Helen attended a great many sittings with the LSA and produced large quantities of ectoplasm from which human figures of adults and children would manifest and many specimen samples of the ectoplasm were taken for scientific analysis, but the London Spiritual Alliance came to the conclusion that these were an elaborate hoax around the same time that claims of fraud were made by Harry Price. It would appear that much of the focus is often on Helen Duncan's trial under the Witchcraft act and the events surrounding this rather than her actual supposed abilities as a medium. It can no doubt be argued that Helen Duncan suffered unfair treatment at the hands of the law, however just how genuine she was as a medium continues to be debated.